It can’t fall into the wrong hands. Luna Callista holds the key to a galaxy-changing new technology. Captured by a ruthless band of deep-space pirates, she’s rescued by a man filled with dark secrets of his own. 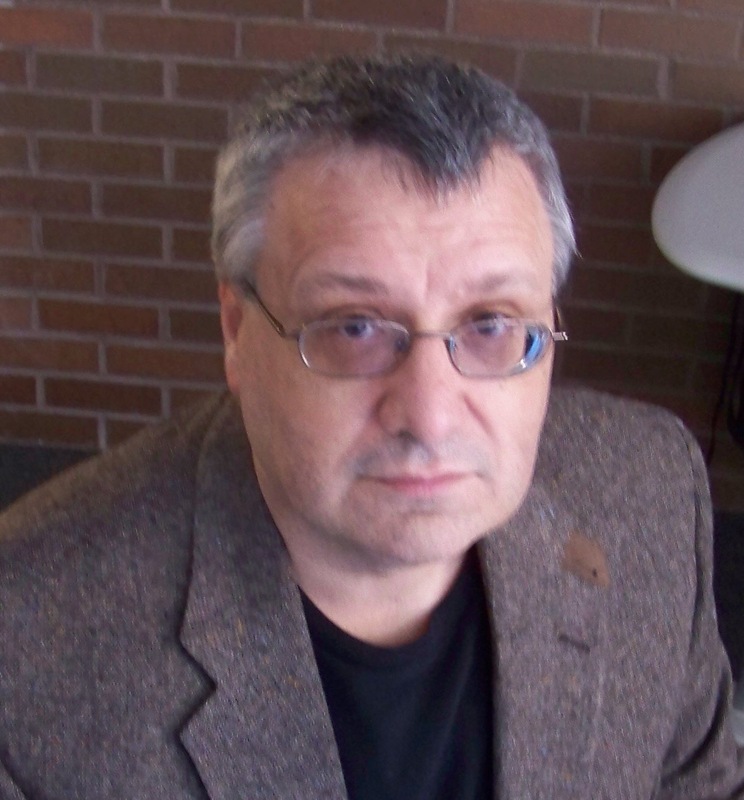 Who is Rik Mazar? Galactic protector or rogue pirate? After three years undercover among the Brotherhood of the Dark Nebula, Rik Mazar isn’t sure what side of the law he’s walking. In a world of murder and betrayal, his life goes on the line every day. But, protecting Luna Callista means putting his heart in as much danger as his hide. A rusting service droid, a Ferang fortuneteller, and a ship full of back-water refugees are their only allies, as two hearts go into orbit to save a galaxy in peril. 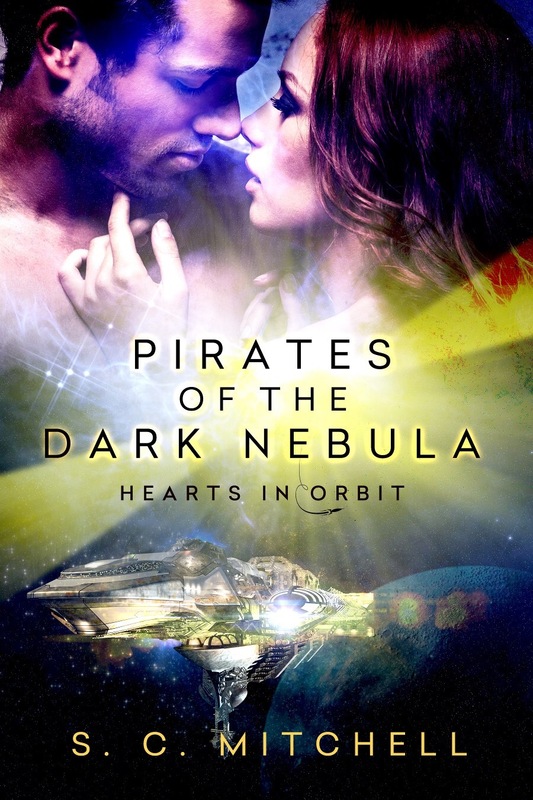 HEARTS IN ORBIT: VOLUME 2 – PIRATES OF THE DARK NEBULA is a science fiction romance set in the far-flung space-traveling future, continuing the series’ course across a galaxy filled with love and adventure. He took a step closer and tucked his fist under her chin, raising her lips to meet his. Warm, firm, and enticing. The thrill shot through her core once again as his mouth took her to another place, another world. Time stopped. Her whole focus was him. Only him. His lips on hers. His hard body pressed against her. His arms wrapped around her, a comforting cocoon—protection from the cold, dark galactic sector about them. It would be so easy to say it was just comfort and protection she was seeking in this man, but there was so much more to it than that. So much more to him. His eyes promised safety—his lips heaven. Still, she barely knew him. Who was he? What was he? An actor and a con man, to be sure. So, was this all an act too? His tongue tangled with hers, plundering ever so sweetly. Damp heat built in her core. The bold press of his erection against her stomach betrayed his arousal. This was no act. He wanted her as much as she wanted him. Did there need to be anything more to it? “I am tracking an ion storm entering the quadrant, Captain.” Harvey’s monotone intruded into the passion of the moment. She’d all but forgotten the droid was standing behind her. He sighed, looking deeply into her eyes. Bio: Hidden strengths, adventurous hearts.